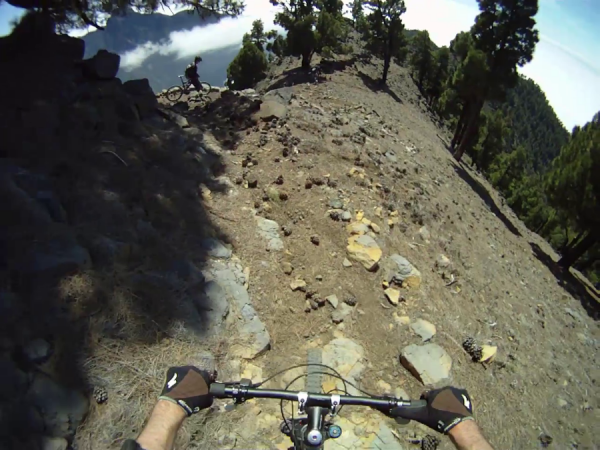 La Palma is mountain bikers dream. 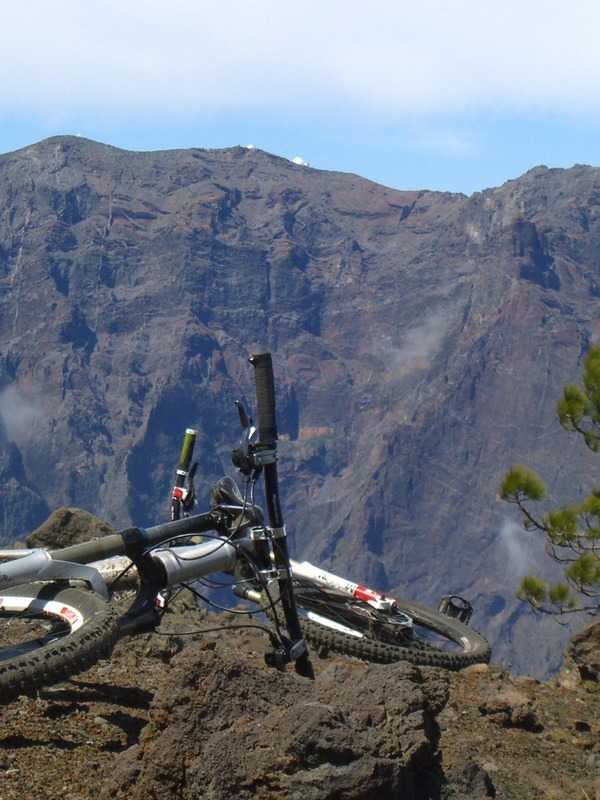 Single trails without end, and the longest downhill of the planet: From the Roque de los Muchachos to the sea, 2800 downhill meters! There are two variants you can ride here. 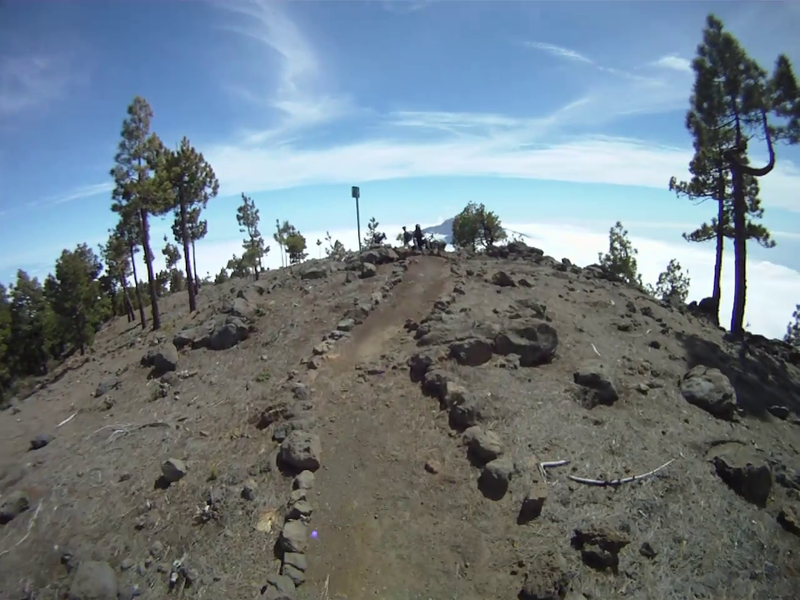 From the Roque de los Muchachos counter-clockwise to Puerto de Tazacorte, or from the Pico de las Nieves clockwise to Los Llanos de Aridane . 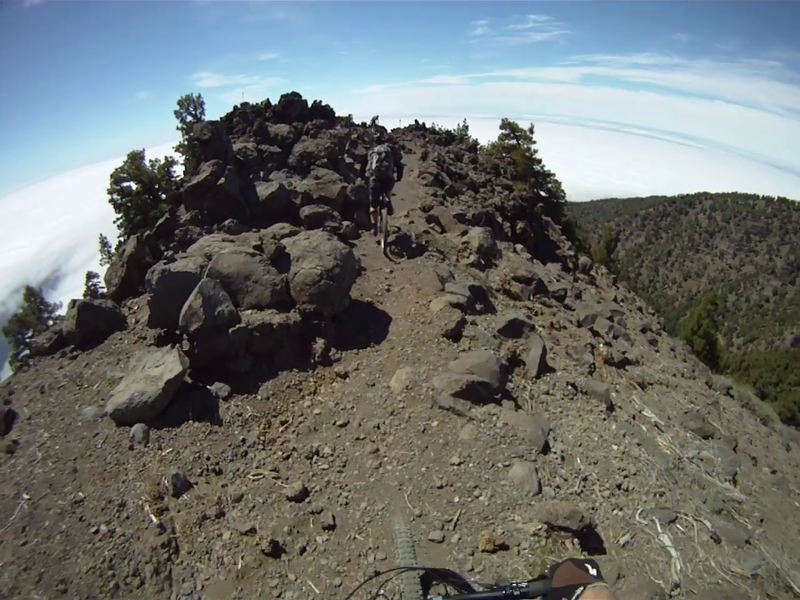 Both lead spectacularly along the volcano rim.Technically sophisticated, but pretty much the best on the planet! 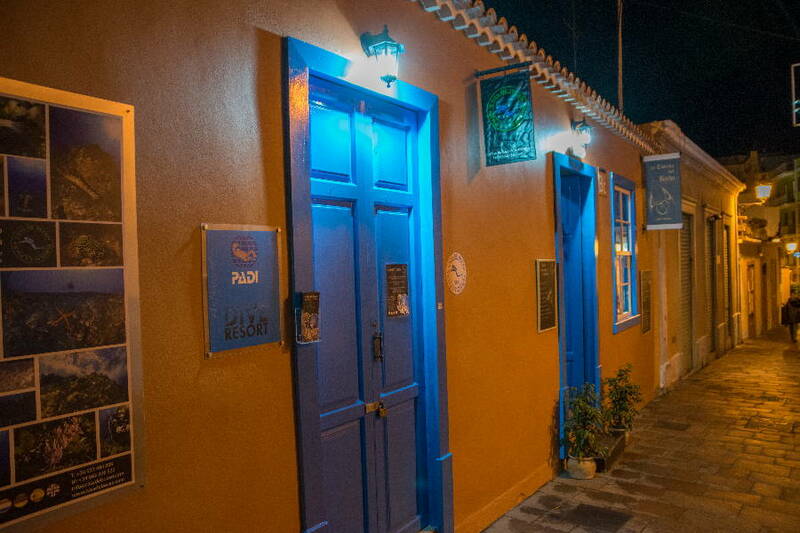 Overnight stay: Check in on the west side of the island eg. 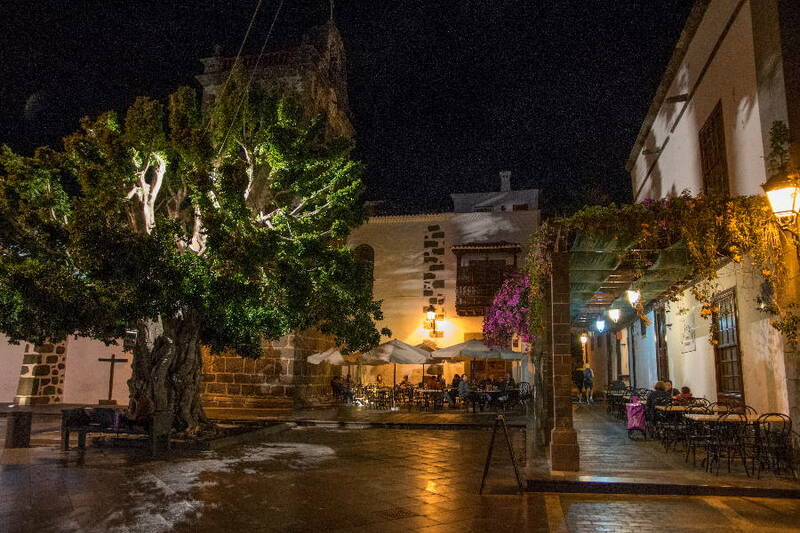 Los Llanos, on the east side it rains much more frequently! Buses don't drive onto the Roque de los Muchachos. But you can drive to the vicinity of Hoja Grande, just before the fork to the northern pass road, which is after all at about 1200m. 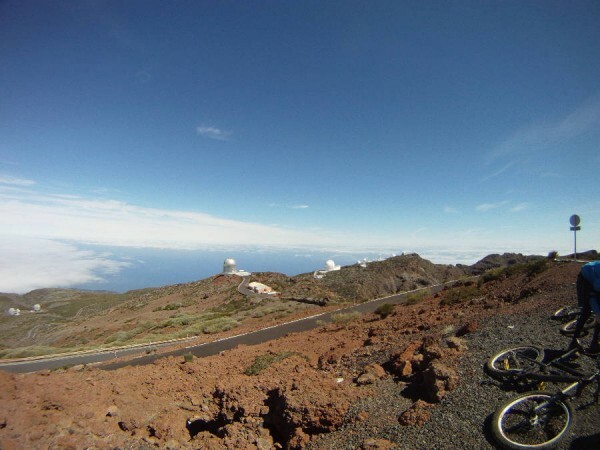 From there you cycle on the Roque to 2426m. The best thing to do is a shuttle. There are quite a few bike shuttles, just ask in the bike shop eg. 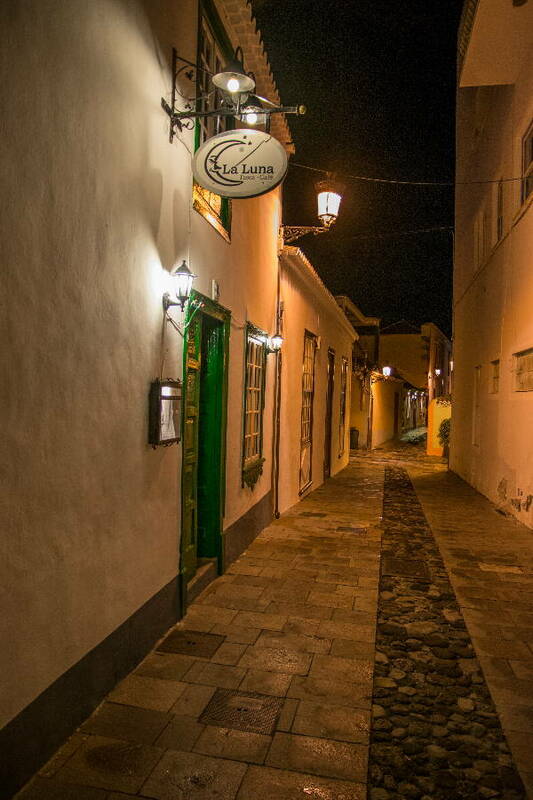 in Los Llanos de Aridane, they also organize a reliable taxi for you, which is not particularly expensive. 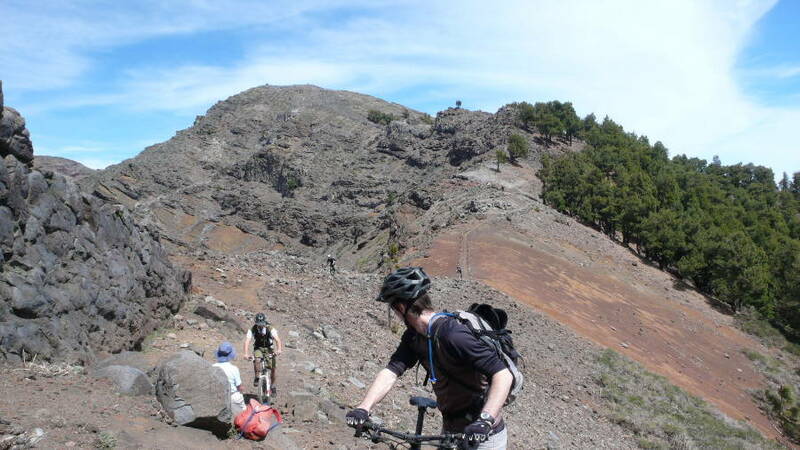 Start at the parking lot at Roque de los Muchachos (2426m), above the observatories. 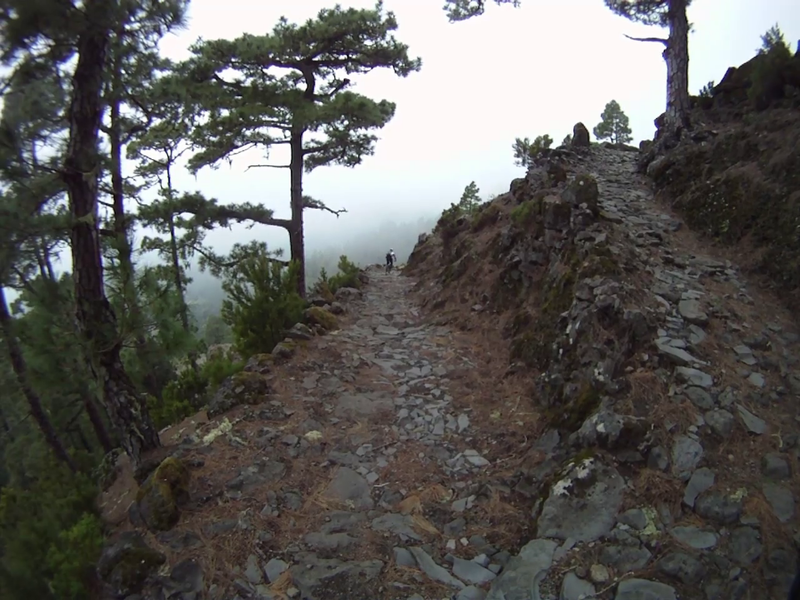 Well and then follows the worlds longest single trail to the sea to Puerto de Tazacorte. Technically Demanding. There are some "no fall areas", if you fall you have a long flight before you touch the clouds... So in doubt rather push the bike and enjoy the panorama. 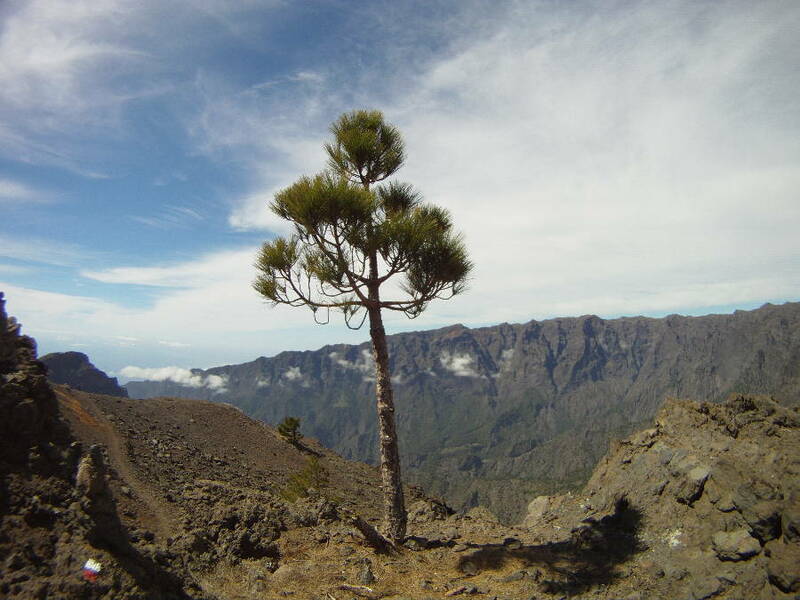 Especially the La Palma pine needles and the pine cones that are abundant here are slippery. The view is not to be topped. 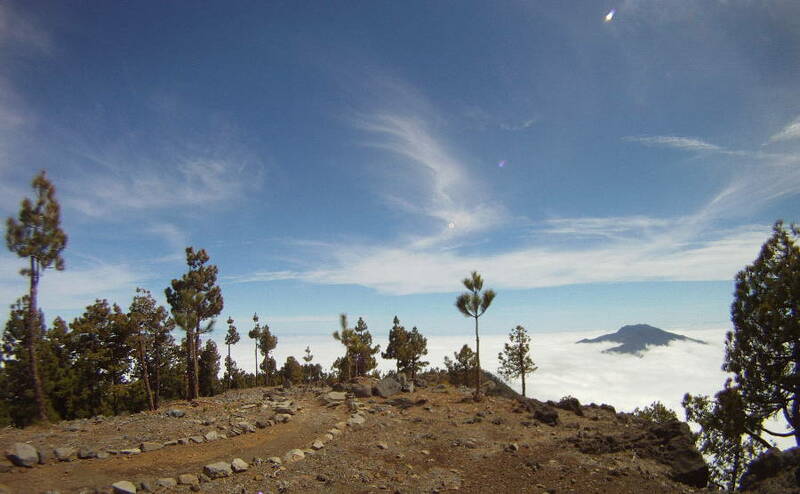 Sometimes clouds lie in the caldera, or you can see the other Canary islands on the horizon. 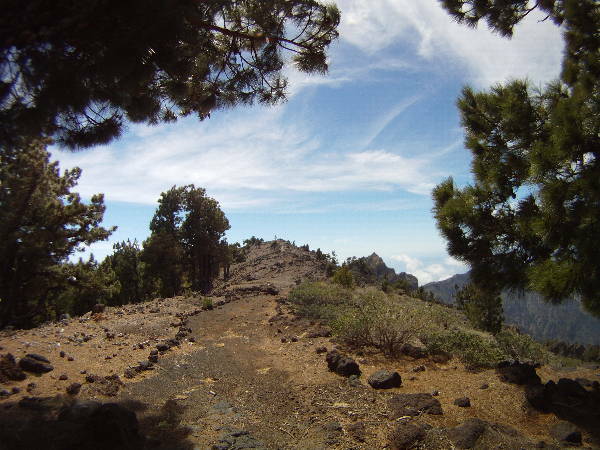 From the Mirador El Time you have a good view of the volcano crater before you leave the road and down an old path to the sea to Puerto de Tazacorte. Here it is sometimes again very steep. When wet, the old stone slabs are not easy to cycle.